Yesterday is one of the UKTV network of television channels in the United Kingdom. It launched on 30 October 2002 and relaunched in its current format on 2 March 2009. It is available on satellite through Sky, in cable service primarily through Virgin Media, and through the digital terrestrial provider Freeview. Hours on Freeview had previously been cut, with transmissions finishing at 6:00pm, but were restored on 1 June 2010. 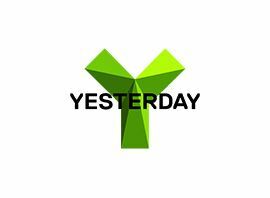 Since 24 July 2012, Yesterday offers more entertainment-led content along with a design refresh, which includes a new logo and idents, in order to attract a wider and younger audience. Along with a new slogan Entertainment inspired by history For example, the channel has broadcast more repeats of situation comedies, such as Last of the Summer Wine or Butterflies. The majority of the channels´ programmes are sourced from the BBC programme archives; however, some are bought in from other terrestrial stations and some productions are commissioned by UKTV themselves. Programmes previously shown on terrestrial channels like BBC One, Two and Four are usually edited for timing, to accommodate the current three commercial breaks within each hour-long programme. Some of Yesterday´s notable programmes include: Antiques Roadshow, Bargain Hunt, Battleplan, Cash in the Attic, Coast, David Attenborough´s Life Collection, Flog It!, Great British Railway Journeys, Museum, Secrets, Secrets of War, The World at War, Time Team, The Sixties, Who Do You Think You Are? and Wonders of the Solar System.